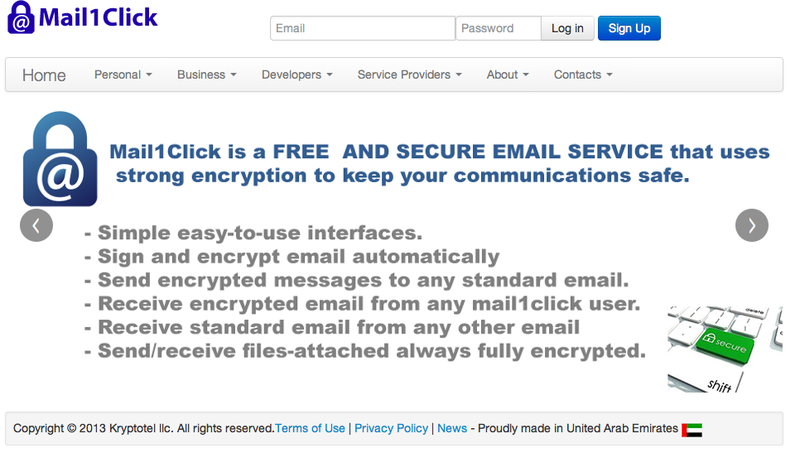 Mail1Click is a secure, encrypted email service. Developed by United Arab Emirates-based Kryptotel, this service will definitely appeal to the privacy-obsessed. Back in the day, a service like Gmail seemed like a great deal. It was free, and offered a ton of storage. Add all that to a great interface, and most of us had no problem letting Google’s little robots read our email and show us relevant ads. These days, with the NSA snooping scandal fresh on everyone’s mind, we tend to put a premium on privacy. Gmail and other free email services may have a ton of perks, but fewer and fewer people are willing to trust their email to an unsecured service. 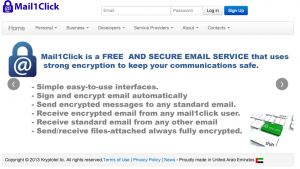 There are a lot of different encrypted mail providers out there. So what makes Mail1Click notable? 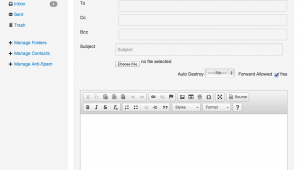 Firstly, it caters to both businesses and individuals looking for a personal email solution. Secondly, it offers a veritable alphabet soup of encryption protocols: RSA, AES, and Transport Layer Security (TLS) protocols. You can read more about their specific protocols here. It’s also free, which some other encrypted services aren’t. Not great at coming up with secure passwords? The sign-up process lets you generate a solid password with upper case, lower case, and special characters. The sign-up process itself is pretty simple and quick. You can get set up in all of 15 seconds, but know that the interface may have fewer features than the service you’re used to using for email. You do need to manually refresh your inbox to see if you have new messages, though. 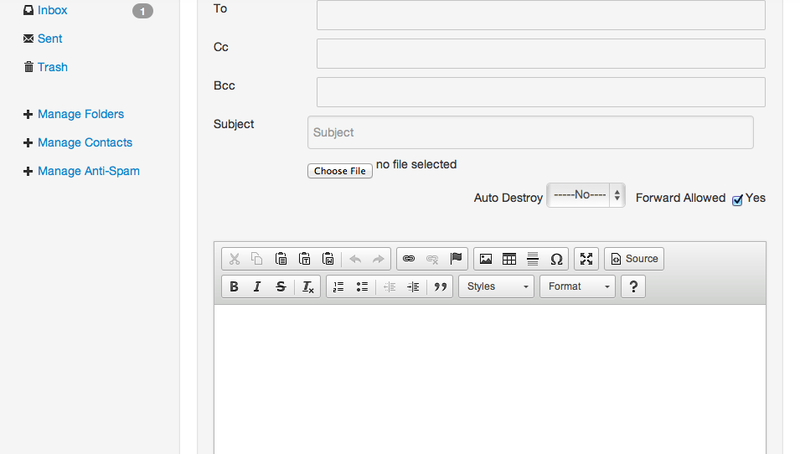 The main mail interface is very clean, but actually getting your mail is a pain. When I sent myself a test email from my Gmail to my Mail1Click address, it failed. After adding my Gmail address to my Mail1Click contacts list, I got an email back saying I had to verify my identity. After filling out the captcha, my email finally went through. Whether you’re paranoid or justifiably concerned about your government reading your email, this is a service that will give you great piece of mind. Just be aware that switching to a more secure platform can mean that you sacrifice some speed, and you might frustrate those you are communicating with. Click here to learn more about the terms of service at Mail1Click.